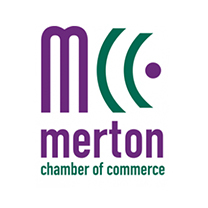 The Merton Chamber of Commerce represents all businesses in Merton. We are in business to help your business and work with more than 3000 businesses and our 600 Chamber Members. We offer professional business support services, exclusive member offers and marketing services, workshops and networking events. Our expert advisers offer intelligent solutions to business planning, growth, finance, marketing, starting a business, networking, finding new premises, recruitment, expanding overseas and accessing grant money.